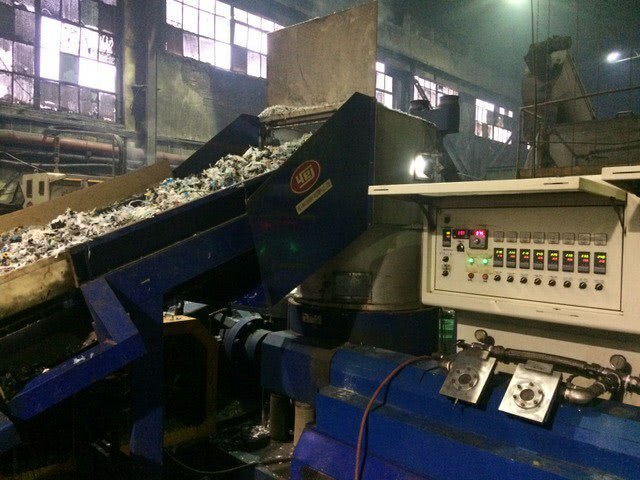 Eco-World Plastics Recycling Sp. z o.o. Sp. K.
Equipped with a pressure sensor with an alarm. If the pressure is too high, the machine will be automatically turned off. The machine is equipped with a double sieve changer cylinder, allowing you to change the screen without switching the machine off. The line has a spare plasticizing system. The line is designed in a compact way, which saves usable space. The machine is in constant motion, I encourage you to see the work of the machine.